I jumped at the opportunity to come back into my passion which is educating young children but was very overwhelmed with the “new” way of doing things. I want to share with you how I have tackled the EYLF so you can have a shortcut and dive straight in! You can flourish and feel confident right from the start! When I started out I found it difficult to get my hear around everything! It was hard to find the information I needed – hence Starskills! Everything you need in one place for your planning and documenting! Let’s begin with the basics so you have a basic foundational understanding. This post will help you to understand how the EYLF was created and why it is important for all young children. 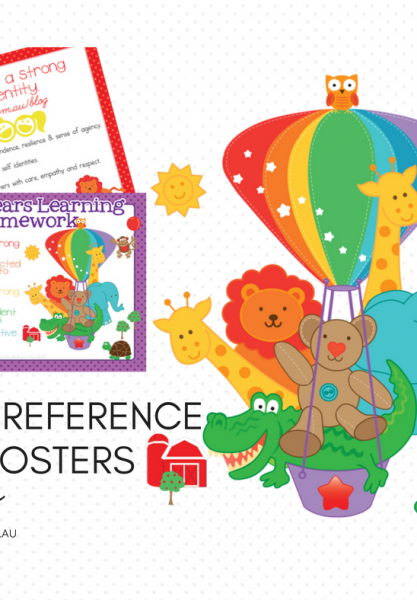 At the end of the post I have a great set of 38 FREE EYLF posters for you to enjoy! COAG designed the Belonging, Being & Becoming : Early Years Learning Framework for Australia to help educators to lay the foundation that every child needs to succeed in their learning and life. This framework is based on research, international evidence and reinforces the premise of the United Nations Convention on the Rights of the Child. Have the right to an education that lays a foundation for the rest of their lives. Have an education that maximises their ability, and respects their family, cultural and other identities and languages. 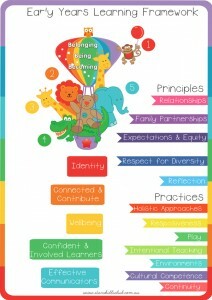 This document emphasises the importance of children BEING, BELONGING & BECOMING. You will read about the guiding Principles, Practices and Learning Outcomes that drive pedagogy and quality early education programs. 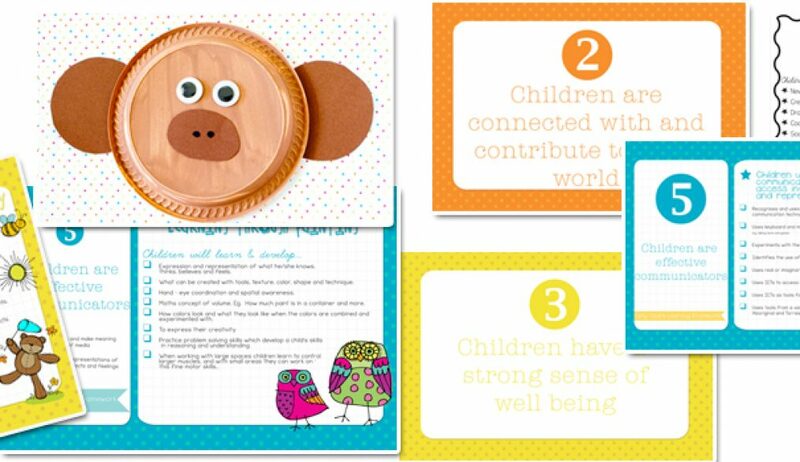 There are 3 parts to the Early Years Learning Framework. The Principles, Practices and Learning Outcomes. 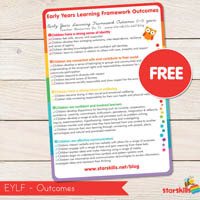 The Early Years Learning Framework (EYLF) has five main outcomes. Each outcome is broken down into indicators which I have numbered for you. Below I have tried to give the indicators further pointers with regard to what each outcome can be further broken down as. The pointers are by no means exhaustive but they do give you an insight into what each aspect can be looking at. Click on the indicators below to see further breakdown – pointers. 4.1 Develop dispositions for learning such as curiosity, cooperation, confidence, creativity, commitment, enthusiasm, persistence, imagination and reflexivity. How did the Early Years Learning Framework come about? In 2007 – for the first time in Australian history the Council of Australian Governments (COAG) put together a national proposition for early education and care of 0-8 year olds. The result is a more coordinated approach to early education across all states and territories within Australia. The aim of these reforms introduced by COAG is to highlight the importance of early education and quality care for babies, toddlers, preschoolers and children to Year 2 within Australia. 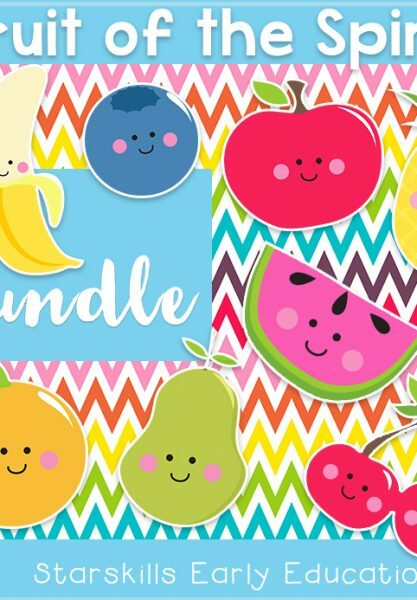 The EYLF covers 0-8 year olds and the Australian Curriculum is incorporated in Pre Primary, Year One and Year Two classrooms as well as care based organisations catering for the 0-8 year age groups throughout Australia. There are a number of reasons for a national approach to early education. Early childhood development is of central importance to the wellbeing of Australia’s children and to the future wellbeing and productivity of the nation. 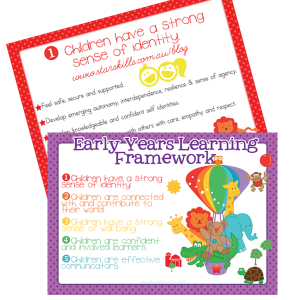 What are the key EYLF documents you need to be aware of? There are a number of key documents that you need to be aware of. 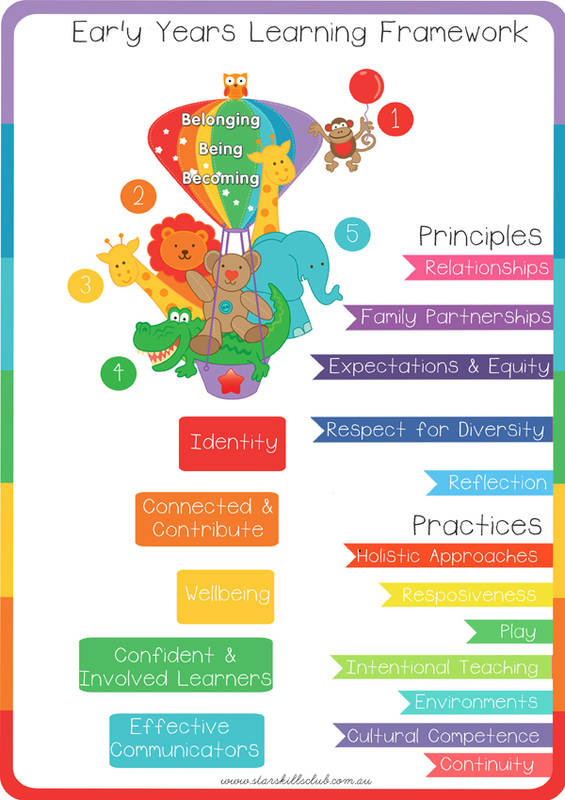 Every centre, school and organisation responsible for educating and caring for 0-8 year olds are responsible for implementing the EYLF. The Australian Children’s Education and Care Quality Authority oversee the that the National Quality Framework (NQF) is implemented and the National Quality Standards (NQS) are being progressed in. The National Quality Framework (NQF) is designed to be the national coordinated approach that propels change within day cares, preschools, kindergartens and care programs offered out of school hours. The aim of the NQF is to make organisations aware of their responsibilities to have high quality standards for programs and care for young children. The NQF aim to drive change so all communities within Australia have access to quality care regardless of background. Key to the National Quality Framework are the seven National Quality Standards (NQS). These standards provide the benchmarks by which every service provider is assessed. The NQF provides accountability and clarity for educators and families desiring excellent care for their children. This framework allows for improvement in educator qualifications, improved ratios, increase in educator professional skills, provision of better support for children’s learning & development and finally a national register to support parents in finding quality local early education and care services for their children. For more information regarding the National Framework you can go to the Australian Children’s Education and Care Quality Authority. When children are looked after in after school care then you will need to be mindful of the My Time, Our Place Framework. This document is used in conjunction with the EYLF and seeks to accommodate the contexts and age range of the children and young people who attend school age care settings. The purpose is to ensure that such young children have the opportunities to engage in leisure and play-based experiences which contribute fully to their ongoing well being and continued development. You will be able to find out more from the My Time, Our Place Website. Here are the documents to get you started with the understanding the Early Years Learning Framework and Care Framework to be implemented throughout Australia.